A few days ago, Japan faced Ivory Coast in their first 2014 World Cup game. After leading with a single goal for nearly 65 minutes, Japan conceded two quick goals and were unable to comeback from behind, eventually losing the game with two goals to one. As the referee blew his whistle and signaled the end of the match, the fans picked up garbage bags and started cleaning up after their own mess in an act of respect towards the hosting country and their own culture. How many of us in Egypt or elsewhere would bother to behave in a similar matter when experiencing a similar situation? Despite their sadness and disappointment at losing the game, the Japanese chose to clean up the mess they’ve created and make the lives of several people a bit easier. They felt responsible and obligated to face the consequences of their actions. 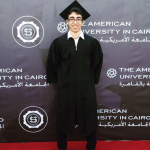 On the other hand, we Egyptians often use anger and disappointment as excuses for our inefficiencies, but the thing is, our emotions should not interfere with our duties when it comes to society. We owe it to ourselves and our country to treat our land the way it deserves to be treated. 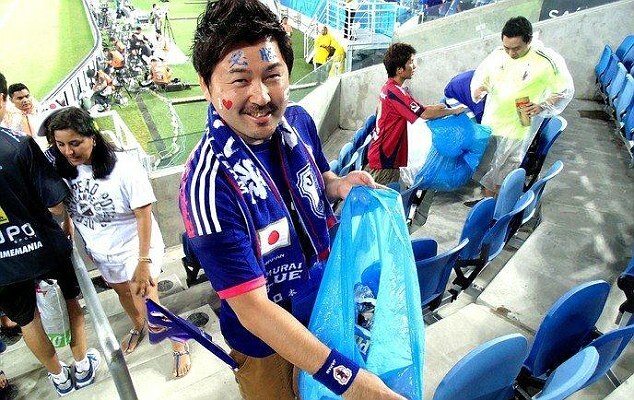 A Japanese fan cleans up after Japan’s recent game with Greece. What the Japanese did, as simple as it may be, sent out a message to the world. Wouldn’t it be easier if each and every one of us spared a few minutes to ensure we’re leaving the place we’re at as clean as it was on our arrival? Why don’t we implement their actions into our own daily lives? The Egyptian government recently issued a new law that toughens fines related to littering and the dumping of garbage, but the question is why did we reach a point where we need such laws to prevent us from harming our own environment? As far as my knowledge goes, I believe that no such laws exists for littering football stands, but that didn’t stop the Japanese from doing what they believed was right. There’s always this one person who lowers his car window and throws out a cigarette, tissue, plastic bottle and more. What makes such actions even more depressing is that there are often younger minds accompanying such men and women. So what message are you sending to Egypt’s future generation? Is it socially acceptable to treat your country as a giant trash bin? Is that the mentality you would like others to adopt in order to justify your own actions? What keeps on holding Egyptians back and what forced the government to issue such laws is the common belief that one will not or cannot make a difference. So I ask you: don’t be discouraged by those around you, but rather try to guide them, because if we Egyptians strive towards a better life, Egypt will automatically turn into a much more decent place to live in regardless of the ruler. 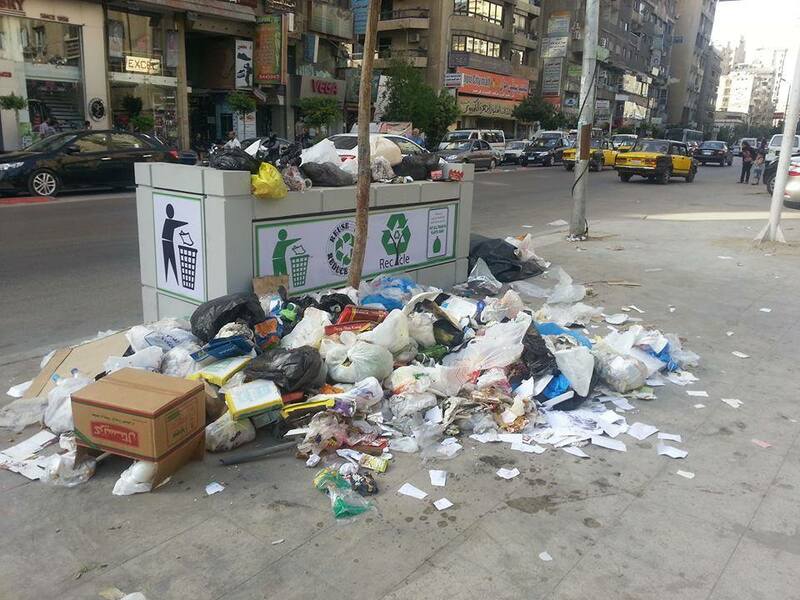 The day after a new rubbish bin was installed on Alexandria’s streets. Our President’s job description does not include cleaning up after his own people. It ultimately comes to whether you want to live in a healthier environment or not. It comes down to your attitude and mentality. 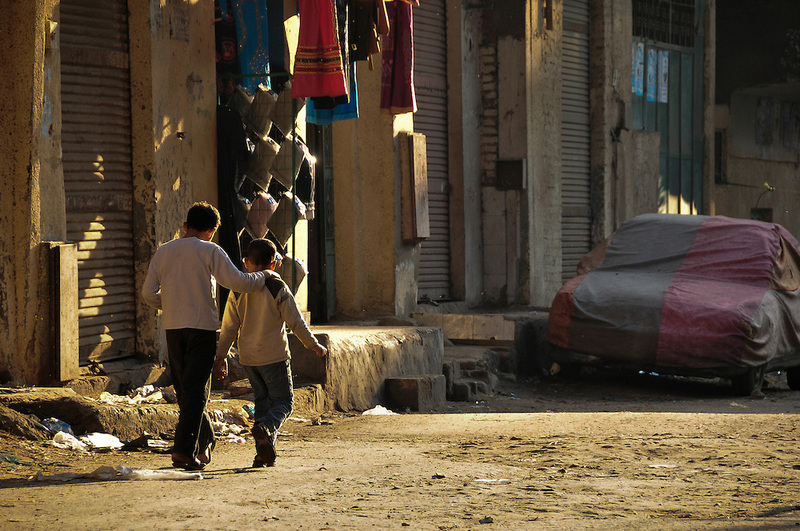 Do you still have hope for a better Egypt, or have you given up already? The Japanese fans’ behavior did not only inspire many to do the same, but also showed how civilized they are. Their discipline and social ethics are now an example to the world and there is no shame in following in their footsteps if we aim to progress as a society. Remember the “cleanup week” following the 25th of January revolution when many spent their days picking up garbage and cleaning streets believing they can influence positive change? How about we do it once again, but perhaps for a bit longer than a week? Perhaps, you know, like, forever? And remember, each time you ignore your social responsibilities towards your people and act in such an uncivilized manner, you are blocking the path that leads to the Egypt we dream of.